While the conversation surrounding a new Justice League film has been focused on the level of success enjoyed by next month's Man of Steel, Warner Bros. is seeing new successes when it comes to its superhero team that may indicate a greater investment by the studio in a potential franchise. 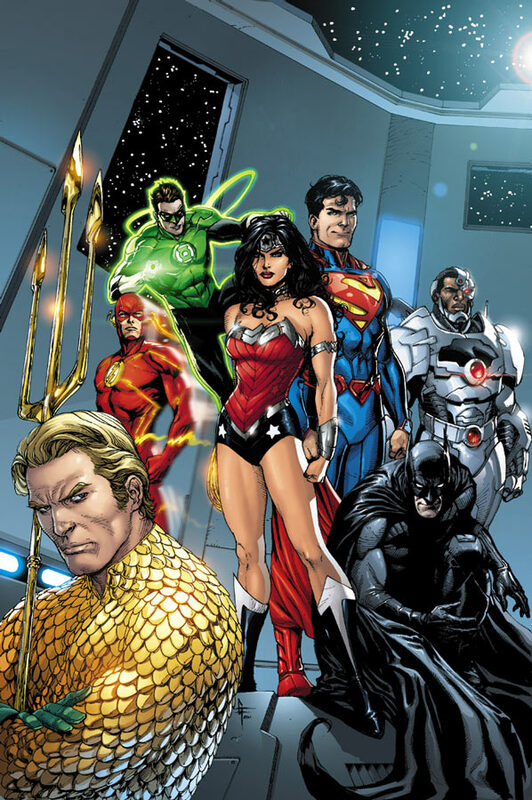 While Batman and Superman by themselves have always proven to be the top cash cows for Warner Bros. in relation to its DC Comics properties, recent hits in other fields and the impending release of a League-related line of merchandise in a major American retailer may be indicating renewed interest in the team. 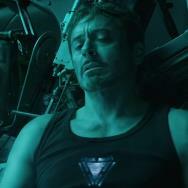 Couple that with the immense, ongoing success of Marvel's Avengers franchise, and it becomes no surprise that the studio may be looking to emulate that kind of business in-house. It's always strong sales that have to push these things into action, and both Warner Bros. and DC Comics are seeing them. Whether it's in comics (where the 2011 "New 52" initiative renewed interest in the team), in video games (the latest DC-centric release is leading to extremely surprising sales trends), or in the aforementioned upcoming products. Let's take a look at how Warner Bros./DC may be pushing forward with the Justice League franchise, and how that push has the potential to translate into a future film. As a comics retailer I can tell you with relative certainty that DC's New 52 line-wide relaunch has managed to reinvigorate the comic book direct market in a way that I've not seen before. 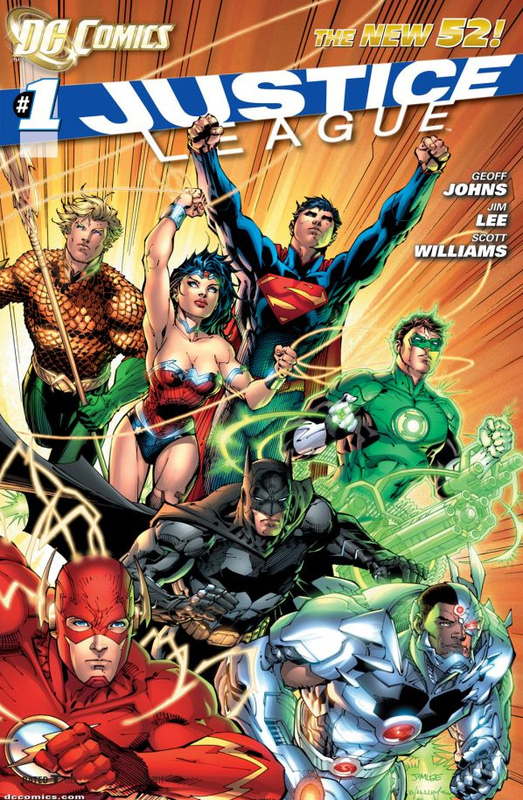 Most of the new #1 issues were released in September of 2011, but the first released issue was Justice League's. Written by DC superstar Geoff Johns (Green Lantern, Action Comics) and penciled by comics superstar Jim Lee (Batman: Hush, X-Men), Justice League #1 saw extraordinary preorder AND reorder activity from Diamond Comics Distributors, and went through a staggering eight printings between August of 2011 and June of 2012 before it's run in initial publication was finished. When the series' first story arc (issues #1-6) was collected into a graphic novel, it saw success that continues today, making it onto the New York Times best seller list and staying on the Amazon Top 50 graphic novels throughout the entirety of its publication. Much like Marvel has done with Avengers comics over the last year, DC has beefed up its Justice League franchise on the publication end, with comics and graphic novels for new series Justice League Dark and Justice League International making the initial list of the New 52, and with recent additions Justice League of America (also written by Johns) and upcoming League-centric event The Trinity War, the team's name has a far more prominent place in the publishing front today than before the relaunch. All of these periodical stories will eventually lead to a wealth of Justice League graphic novels flooding specialty stores and book stores, which is usually not by accident. In addition to many comics fans, the gaming community at large had a lot to look forward to with last month's release of WB Games' and Netherrealm Studios' Injustice: Gods Among Us. From the creators of legendary fighting franchise Mortal Kombat comes a new fighter that is epic in scope, and features many of the most popular and iconic DC Comics characters, duking it out in a cross-universal battle between freedom and fascism. What the creators and distributors likely weren't expecting, though, was the fact that a powerhouse of a new franchise within DC Comics was created, spelling immense success in all areas that the game's name is involved in. As is typical practice, DC launched a tie-in comic digitally, then later in print, that has been very well received, and has become an immense commercial success in addition to its critical acclaim. It's the best video game tie-in comic series I've ever read, and I'm not the only one who thinks so: individual digital issues of the series currently occupy 11 of the top 20 best-selling superhero comics and graphic novels on Amazon, and the first print issue alone has gone back to press for a surprising three printings with each subsequent print issue selling out of their first printings and going back to press at least once. The digital versions also occupy most of the top 10 slots on digital comic distributor ComiXology in multiple countries, as you can see in this report at Bleeding Cool. The game itself has also been doing extraordinary business for the time of year in which it was released. 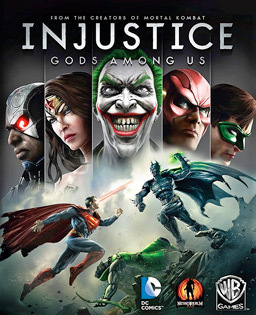 According to a report at Event Hubs, Injustice: Gods Among Us is the only video game released in the month of April to sell more than 250,000 copies, with it's final April count standing at nearly 424,000 copies. As announced at the Hollywood Reporter and carried at outlets like the Superman Homepage, Warner Bros. Consumer Products has announced an exclusive partnership with the Target Corporation in creating a widespread line of Justice League-related summer products based off of the characters' appearances in the New 52. 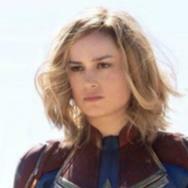 According to the press release that went out yesterday, the line will consist of "home, stationery, sporting goods, and lawn and garden" products, as well as things like "dinnerware that features a purple and pink-clad Wonder Woman; an apron that transforms the cook into Batman; sand toys that will help beachgoers create Gotham City; and children's Batman, Wonder Woman and the Flash beach towels that double as capes." A ton of Americans shop at stores like Target, and pushing for a line of products meant to appeal along so many different facets of life will definitely serve as brand advertising in addition to selling the actual products. How many other '90s kids remember asking for a green Power Ranger action figure and getting a red one from your grandma that can't tell the difference? Well, what if a kid asks for an Avengers beach towel, his/her Grandma goes to Target, and picks up a Justice League one instead? You'll either have an angry kid that might skimp on a Christmas present for Grandma that year, or you'll have a new Justice League fan in the making. This renewed attention from Warner Bros. points to increasing the brand recognition of the League in an attempt to build toward something. Whether or not that's a film no one can say for certain, but the likelihood is certainly there. While Man of Steel's likely success or possible failure will ultimately determine whether or not a film will make it into production in the near, or not-so-near, future. Time will tell what events will ultimately assemble the World's Greatest Heroes on film for the first time, but in the meantime, Warner Bros. and DC are certainly trying to imprint their big superhero team in the minds of millions of people. As more and more popular licenses make it into the hands of smaller comics publishers, the greater risks those publishers tend to take with them. Smaller publishers have a very different view of what is profitable for them when compared to bigger guns like Marvel or DC, and that means that other, more specific types of stories can be published without as much risk of failure. 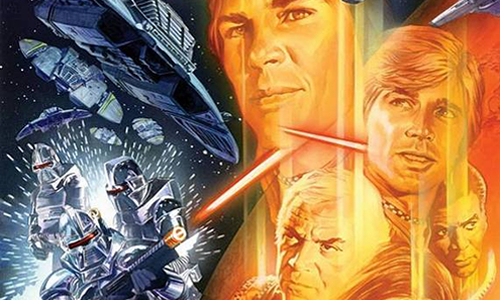 Dynamite Entertainment has had the rights to the Battlestar Galactica franchise for several years now, but most of its published stories have centered around the popular 2004 reboot of the series. That's all about to change this Wednesday when Dynamite releases Battlestar Galactica #1, tied instead to the original 1978 TV series. Written by popular sci-fi comics scribes Dan Abnett and Andy Lanning with beautiful cover art by Alex Ross, the series takes place in "classic BSG continuity." Dynamite summarizes the first issue by saying, "Following a surprise Cylon attack, Adama and the crew of the Galactica are forced to deploy Dr. Zee's experimental temporal weapons with unexpected results that leave Apollo and Starbuck lost in time and space in an alternate reality with no Galactica and no way of returning home!" I was introduced to BSG through the 2004 series, but found myself really enjoying the different sensibilities of the original show. If anyone can bring that spirit to a comic book, it's Abnett and Lanning. Look for it in comic shops this week. Thanks for checking in on the Geek Beat. Be sure to look for my Countdown review of Star Trek Into Darkness within a week, and be here next week for new topics of geekdom! 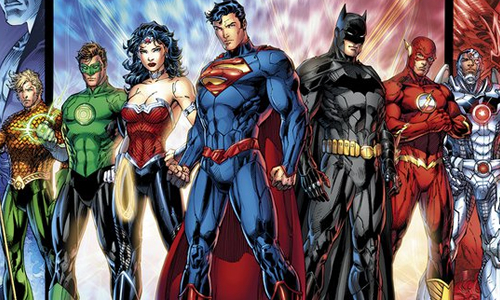 What do you think of Warner Bros.' Justice League strategy? Chris Clow is a geek. He is a comic book expert and retailer, and freelance contributor to GeekNation.com, Batman-On-Film.com and ModernMythMedia.com. 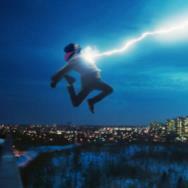 You can find his weekly piece The Geek Beat every Tuesday right here at Movies.com. Check out his blog and follow along on Twitter @ChrisClow.